Strong of heart, Kathy Koetsier was an example to all who knew and loved her. She carried herself with poise and grace, and her keen sense of fashion and style was a testament to Kathy’s eye for detail. Kathy lived fully and completely at every opportunity. She was just as gracious as she was kind, and with her ever present, welcoming nature. Kathy’s greatest joy was found in the family she adored. Never to be forgotten, Kathy’s loving heart remains forevermore. The year 1953 was a turning point in the culture of America. The Korean War came to a thankful end, and many advances were being made in the field of medicine. While local unions gathered strength in numbers in the work force, the American dream was being realized as families flocked to the suburbs. For Warren Teunis, serving in the U.S. Air Force and stationed in Spokane, Washington with his wife, Barbara (Collins), the days could not have been brighter as they welcomed the birth of their little girl, Catherine Anne, born on June 18, 1953. Warren and Barbara soon returned to their home state of Michigan where they began a new life with their young daughter. The oldest of eventually four children, “Kathy” was later joined by her younger siblings, Karen, Gary and Daniel. The Teunis family made their home in Grand Haven, Michigan where Kathy’s father operated the Fountain Motor Inn on Beacon Boulevard and her mother was a busy homemaker. When merely a young child, Kathy contracted Polio and spent the next several years of her life at Mary Free Bed Hospital in Grand Rapids fighting the disease. Finally allowed to come home, her mother was diligent in Kathy’s daily physical therapy which was instrumental with Kathy learning to walk again. Thankfully, Kathy fully recovered and despite this setback in her young life, she went on to enjoy a fairly typical childhood. Kathy was involved in Brownies and while attending the local schools she played the clarinet in the school band. Kathy held close fond family memories of vacations her family took to places like Florida and Washington, D.C., and seeing the White House made a big impression on Kathy. On Sundays, her family all piled into the car for a day trip or boat ride which was fun for all. Throughout Kathy’s junior high school years her family lived at the motel until her father later came to own and operate a local hardware store. It was while attending Grand Haven High School that Kathy came to know Keith Koetsier. Quite a golfer and very popular at school, Keith was instantly taken by Kathy’s bright smile and starry blue eyes. After one date at the golf course, Kathy knew Keith was the one for her. The two continued dating even after Keith left for Western Michigan University after high school and with degree in hand, he returned to his sweetheart to make their relationship official. 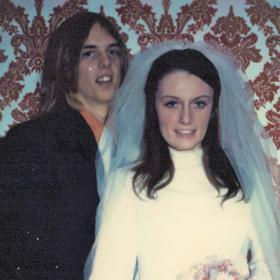 On February 17, 1973, Kathy and Keith were united in marriage at First Reformed Church. The newlyweds set-up house and later that year were blessed with the birth of their daughter, Stacy Lynn. While Keith worked hard to support their growing family, Kathy loved nothing more than making a good home for them. She absolutely loved being a mom and raising her daughter. As her daughter grew older and was in school, Kathy began working as a retail manager for several, Grand Haven and Holland area clothing stores. Typical of Kathy, she made friends with many of her customers. An avid shopper herself, Kathy had a wonderful fashion sense and took pride in knowing what was in and hip in the world of fashion. 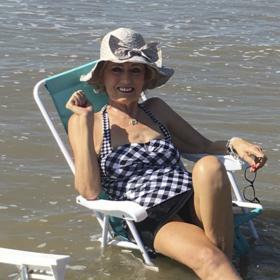 A very attractive woman who was full of youthful energy, Kathy always loved the beach and remained active. She and Keith later bought a new home in the Forest Park East sub-division in Grand Haven Township and she loved doing the interior decorating and landscaping her beautiful gardens. Kathy and Keith had a fun circle of friends. They enjoyed spending time going out and listening to bands at local places like the Kirby Grill and the Rosebud. Kathy also quite often accompanied Keith when he went on golf tournaments and regularly drove the cart for him. As a couple they also took in fun-filled trips to visit their daughter in Chicago and going to a few Cubs and Bulls games. They even took trips to visit her when she lived in London and Paris. Kathy’s career took a new direction when she left retail and became a recruiter for Manpower and then Workforce. She loved her work and enjoyed being part of the community, helping companies and attending Chamber events. Most importantly, she loved having helped hundreds of local residents find gainful employment in the Lakeshore area. 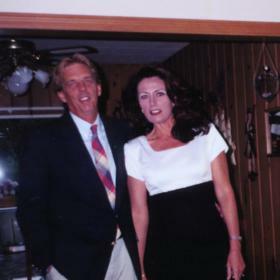 In 2007, Kathy lost her beloved Keith in death quite suddenly and unexpectedly. It was very tough on Kathy, yet with the help and support of family and friends, she kept herself busy with her job and activities. She became closer with her side of the family and spent great times with her brothers and sister. She really enjoyed birthday celebrations and other family events. When her daughter got married and had children, Kathy was overjoyed. She was truly in her element being a loving grandmother to her granddaughters, Grace 4 and Eve 2 who were the love of her life. When Kathy was diagnosed with cancer in 2016 it was no less a devastating blow but she vowed to fight it. She sold her home and moved to Houston, Texas to live with Stacy, her husband, Marko, the girls and her cherished dog, Maddy. While there she received special cancer treatments at M.D. Anderson Cancer Hospital. Although the treatments were hard on her at times, Kathy pressed on and she was ever thankful that her family was by her side. Living with Stacy gave Kathy the opportunity to be the grandma she loved being. She was able to attend the girl’s events, ballet classes, take in area museums, swimming and the zoo with them. She loved playing with Grace and Eve and being a part of their everyday lives. Kathy cherished every minute of it, including the fact that she and her daughter spent every day together for the past two years creating special memories together. Although Kathy’s treatments were successful for a while and she did well for an extended period of time, the disease in time returned with a vengeance and Kathy lost her fight. In the life of Kathy Koetsier, there was no greater love or joy than being a loving and devoted wife, mother and grandmother. She encouraged her family with pride, and she held her head with grace and optimism even in the darkest of her days. 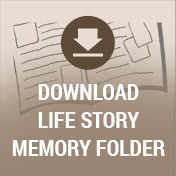 Kathy loved life at every opportunity and remained active until the last of her days. 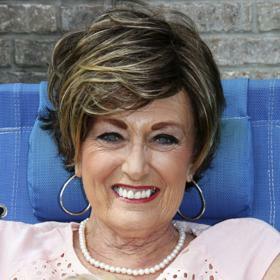 She enjoyed music, shopping, fashion, interior design, home renovations, landscaping, and gardening. And with ways all her own, everything Kathy touched turned out beautiful. A treasure she will always be, Kathy will be deeply missed and fondly remembered for all that she was, and more. Catherine "Kathy" Anne Koetsier, 64, of Grand Haven died on Tuesday, October 11th, 2017, in Houston, Texas after a courageous 18 month battle with cancer. Survivors include her daughter, Stacy Koetsier; son-in-law, Marko Hirvensalo; granddaughters, Grace and Eve Hirvensalo; her father, Warren Teunis; sister, Karen (Tom) Mastenbrook; two brothers, Gary Teunis and Dan (Lisa) Teunis; several nieces and nephews, Allison Koetsier, Amie (Matt) VanAmberg, Lucas Crum, Alex (Leslie) Crum, Brian (Rachel) Teunis and Amanda (Brian) Wojczynski. Kathy was preceded in death by her mother, Barbara Teunis; her husband, Keith Koetsier; and parents-in-law, Thomas Donald and Edith Koetsier. CELEBRATION OF LIFE: Friday, October 20, 2017, 10:00 am at First Reformed Church with Rev. John Kenny officiating. MEMORIAL: Donations in Kathy’s honor may be made to the M.D. Anderson Cancer Center. 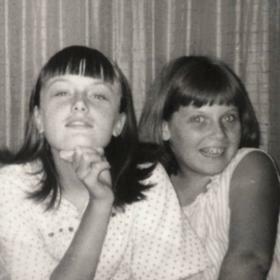 To share a favorite memory or photo of Kathy and to sign her online guest book, please visit www.clockfuneralhome.com.